I did not expect that my interests of iPhone games and Regency historicals would ever collide, but we live in an amazing age. Tea for Three Studios’ Regency Love was a most delightful surprise and it is tonally perfect. 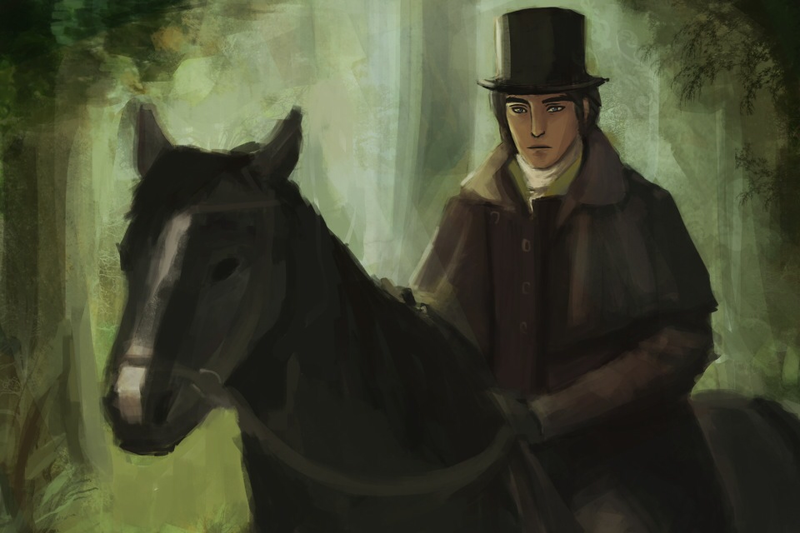 As you move through the narrative, you get chances to improve your Regency-centric skills, in much the same way a tradition D & D type game would offer. 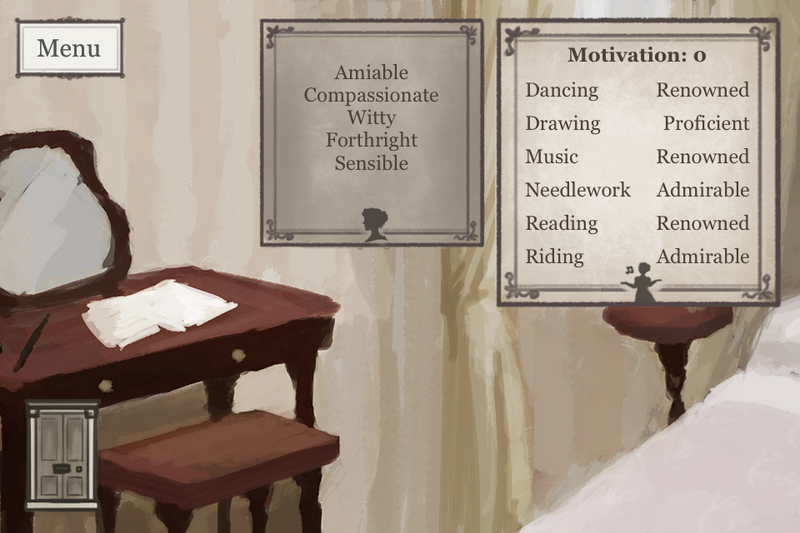 You improve your dancing, reading, riding, etc and it shapes your character’s personality. That’s also effected by the decisions you make, what you choose to say to people, which path you pursue. It’s really too fun. 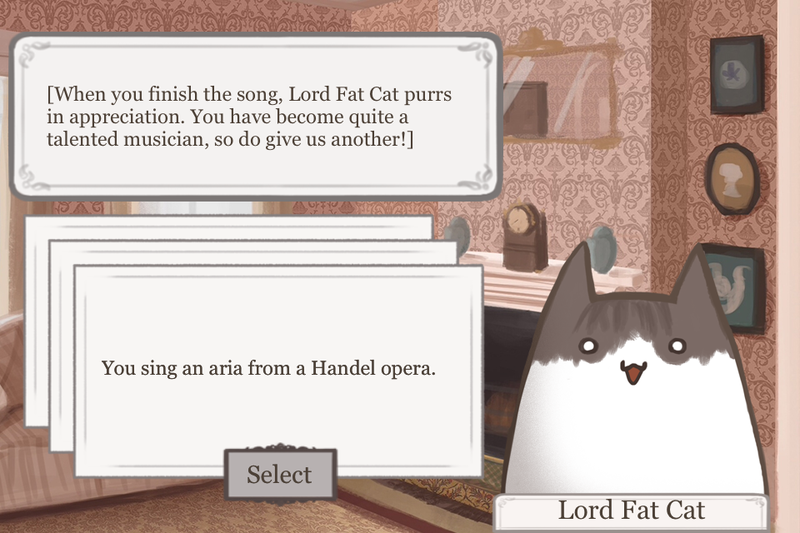 Did I mention you can sing to the town cat, who you have dubbed Lord Fat Cat? The game is so well written that it feels like you’re reading a well-thumbed novel, choosing your own adventure in a world very familiar to Romance readers. 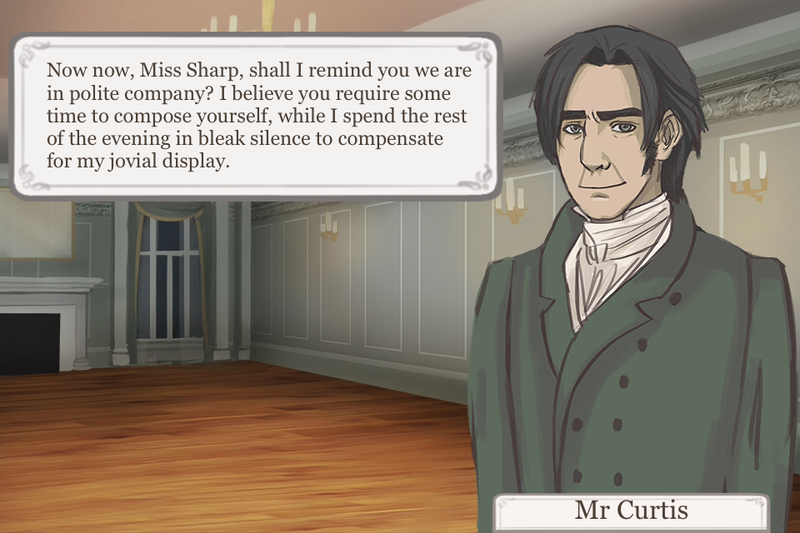 Regency Love hits all the tropes with buckets of charm and historical details; the dialogue is hugely charming. All of the writing, really, is the best part of this game. It’s a page-turner of interactive media. I got myself embroiled with the cranky Mr. Curtis, who is as vivid to me as any character I’ve read in a book. The characters in this game are not mere sketches, they’re all fully fleshed out, even the secondary characters. Oh, Mr. Curtis, do remind me we’re in polite company. Oh, do remind me to compose myself. Oh, yes.